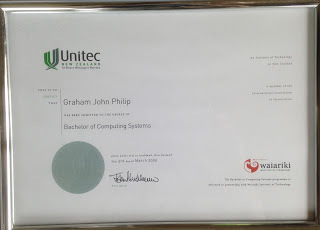 Here are some of the Degrees and Certificates of the staff of Qualified IT. 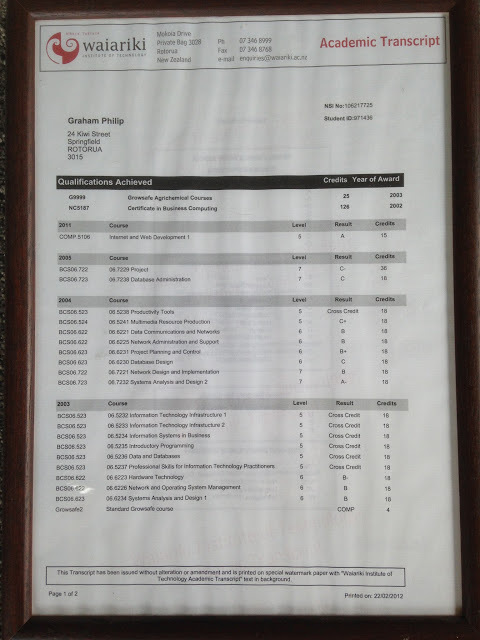 At the bottom is the academic transcript listing the papers passed and the years of study. Of particular interest are the level six and seven papers in Network Administration and Database Administration and Design. Also noteworthy are the System Analysis papers and the type of credit awarded.